Jesus changed the world and impacted lives, and He did it by living out love and compassion. When we live out these words in our lives, demonstrating the love and compassion of Christ, through the power of the Holy Spirit, then we are being His witnesses, bringing glory to His Name. 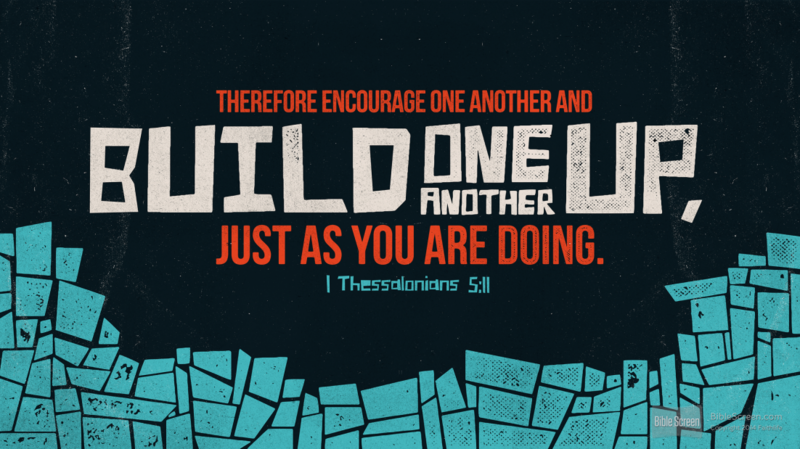 Let’s work together towards bringing the love and compassion of Christ to everyone. Love and compassion are about restoring broken lives to wholeness in Christ. We can let the world experience the wholeness of Jesus not only by our words, but also through our actions. Our God is not a God who sits and watches from Heaven and does nothing. God takes action: He sent Jesus Christ for us; Jesus lived, and died, and rose again for us; He ascended back into Heaven for us; He gave us His Holy Spirit. What you do, when done in love and compassion, can change the world; it impacts lives. Categories: God is With You, Uncategorized | Tags: Broken, Inspire, Love, Purpose | Permalink. What do we do with the broken pieces of our lives? I feel like a lot of brokenness is held on to. We seem to pretend that we need no one, when inside we are begging for help. But we are ashamed and we don’t want people to know how we really feel. So we hold on to the pieces. We think it will be better if we just hide in secrecy from the world – from God – as we hold on to our brokenness telling ourselves we are better this way. We fall into that deep lie where fear consumes us with thoughts of insecurity, of not belonging and feelings that we are unworthy, insignificant, and unloved. If only there was some way we could help people stop feeling this way. How do we help people fill their hearts with God’s truth instead of the enemy’s lies? How do we guard our hearts with Truth? Maybe that’s why God let’s us go through those struggles where we feel like giving up… it’s not because He wants us to give up – He wants us to stop relying on ourselves. He wants us to finally stop trying to do it all on our own because we can’t. He wants us to trust Him to carry us through as He give us the strength we need. And once we get through our struggles, or maybe even while we are still in the midst of them, if we keep pushing forward, then we can use our story of brokenness to help encourage others who are going through their own story of brokenness. So I guess what I am trying to say is that, as broken people, we all can relate to one another on some level and that is how we can minister to broken hearts. We can come to them where they are in love and in empathy because we’ve experienced brokenness too. And through that I pray we would help one another find true transformation. I pray that we would all realize that our only hope of restoration is found in Jesus Christ. He not only restores us to wholeness; He transforms us to completion – we just have to be intentional about coming to Him with our broken pieces and believe that His strength and power will change us. Why do we hide? We need to let Him in! 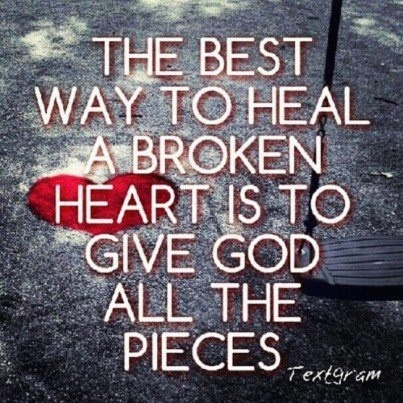 He wants so much for our hearts to be healed – for our brokenness to be mended. When we stop holding on to our brokenness, and instead let it go, laying it all at His feet, He will truly set us free from the lies that once filled us up with fear and brokenness in the first place. I am so grateful for the freedom we share in Christ. Praying for all the broken hearts to keep fighting, we are not alone, and may we never let go of the hope we have in Jesus Christ our King! Categories: Letting Go, Overcoming | Tags: Broken, Encourage, Insecure, Intentional, Jesus Christ, Let it Go, Lies, Overcome, Press On, Pretending, Transformation, TRUTH | Permalink. 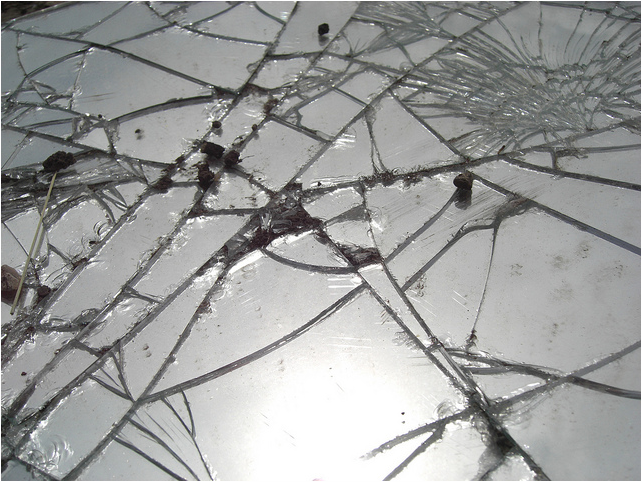 Broken people have broken ways of seeing themselves: You’re not good enough. Nothing you do will ever matter. Why do you even try so hard; you’re going to fail. Everything you say is worth nothing. When you leave here, you won’t have made an impact. YOU ARE A NOBODY! I wish feelings like these would stop consuming so much of our thoughts. The devil wants us thinking like that. In fact he will probably say things like: Go ahead and hate yourself. Get mad at the world around you. Be ungrateful for who you are. Be angry. Be upset. Deny God loves you. Please God, help us. Help us to not believe lies. Help us to stop feeling worthless. You see us as Your treasured, valued, and precious children. You love us so much! Help us to stop being controlled by our fears and the lies the devil tells us. Our fears lead us to these negative thoughts that are lies, but God, Your perfect love casts out all fear. Help us to believe your TRUTH. Why do we think we are not enough? Why do we think we are failures? Why do we think we have nothing in us that is worthy? None of us are perfect, and as a result we keep seeing ourselves as people we are not. We feel like we have no value because we do not feel perfect. Instead we feel broken.We may strive for perfectionism so we can be ‘good enough,’ but even our definition of perfectionism can be messed up. We are just broken people, yet in His hands, our brokenness can be made beautiful and our weaknesses can be made strong (see 12 Corinthians 1:9). I hope we can believe His TRUTH and live by who He says we are even through our brokenness. Categories: Overcoming, Who You Are in Christ | Tags: Beautiful, Believe, Broken, Identity, Lies, Love, Perfection, TRUTH, Valued, You Are Enough | Permalink.